There has never been a better time to enjoy the fine dining options at Garden Square at Westlake Assisted Living in Greeley. When it comes to food, our cooks prepare meals that are both nutritious and delicious. Using the freshest ingredients, dining at Garden Square at Westlake Assisted Living raises the standard for dining at senior living communities. 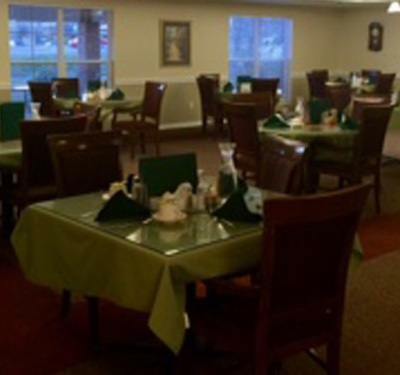 A variety of delectable and nutritious dining choices are prepared daily by our cooks, guaranteeing you a sensational Greeley Senior Living experience. Special dietary needs are always graciously accommodated, and arrangements can be made for residents who do better with finger foods or require protection for their clothing. We want dining to continue to be a pleasurable, rich part of every resident's day. The presentation and variety available at Garden Square at Westlake Assisted Living definitely brings joy to our residents! Of course, the food is also nutritious. Our menus are designed seasonally in coordination with our seniors. Menus are reviewed and approved by our consulting dietician. Residents are encouraged to share their favorite recipes. Choice is not only limited to the menu, but also to your dining experience. 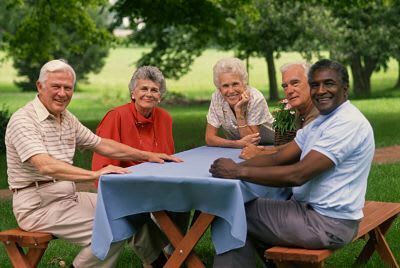 Many of our communities offer a formal sit-down service, a more casual setting, as well as outdoor options when weather permits. Behind the scenes, our dedicated staff is hard at work ensuring that your individual nutritional needs are met. Our Wellness Coordinator and Dining Services Coordinator will consult with your physician and with you to provide options that support your dietary needs and preferences. Personalized diets may include: vegetarian; low carbohydrate; high protein; weight loss; heart healthy; or diabetic. At our service plan meetings with the resident and family, goals are discussed and are regularly monitored. Our dining staff will custom tailor the perfect fit for you. Come be our guest!